Deer resistance for plants is only a matter of degree for the most part. 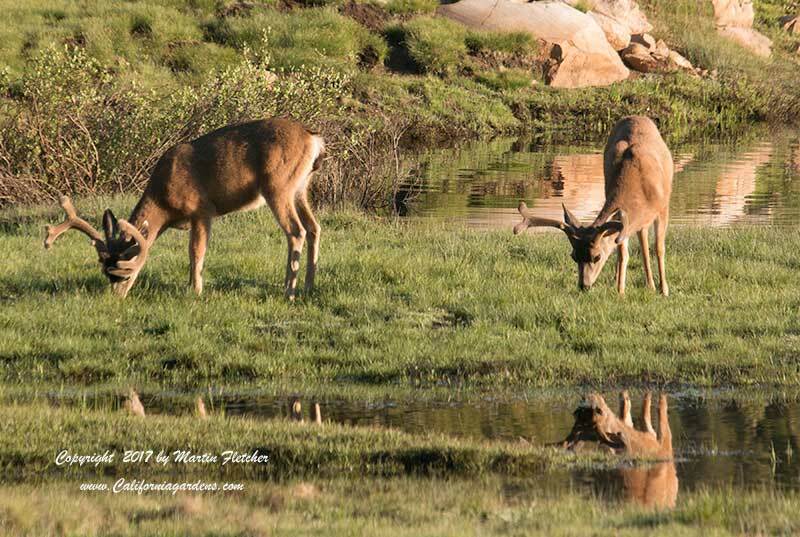 Those deer look so innocent when grazing in a field. But when they are hungry enough deer will browse almost anything but the most toxic of plants. Rose gardens that never have flowers are the norm in deer country. Zoo Doo, blood meal, lion pee, tall fences and more have been employed to discourage deer. Castor oil and any number of bitter tonics can be sprayed on foliage, this may work for a time but must be reapplied and will ultimately be ignored if the deer are hungry enough. If the fence route is chosen 10 feet or more might work. A long time successful vegetable gardener living in deer country said that a 10 foot fence made with shade cloth draped over a cable worked superbly. The movement of the loose shadecloth in the breeze and the fact that the deer could not see where they would land was enough to stop the deer from entering his vegetable garden. And for the people, they could just push through the curtain of shadecloth. If this sounds to you like it might be both potentially effective and supremely unsightly you are not alone. But for some the thought of fresh vegetables is enough to put up with almost anything. If deer manage to get in to your fenced garden the results are often catastrophic for the deer as well as the garden when you try to encourage them to leave, even if a gate is left open they often panic. Maybe the best chance you have for a deer free garden is for your neighbor down the street to be a determined rose grower. 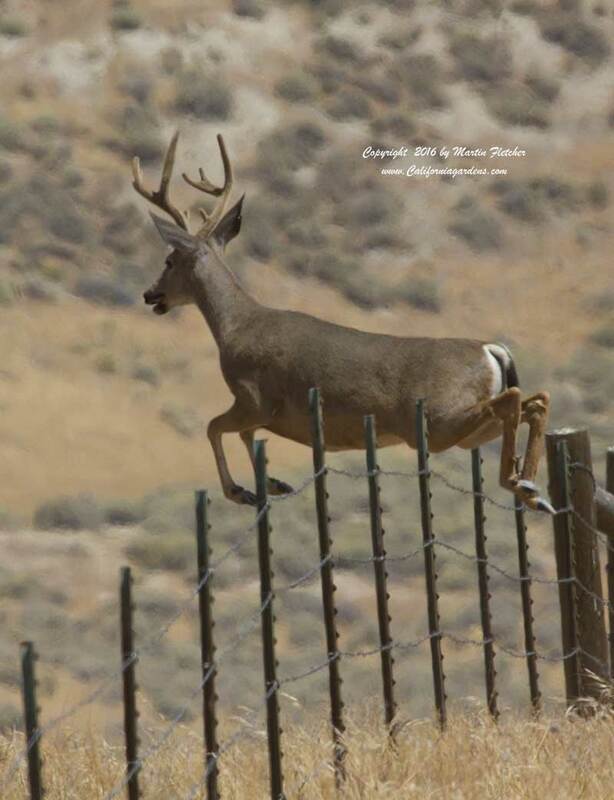 Note that the deer is jumping over the barbed wire part of the fence instead of the safety zone with the wooden top rail. The following is our list of plants that we have found to be among the last that the deer choose to eat in a garden.